Another year has passed and everyone is gearing up for the big game this Sunday. Both sides have worked hard and are ready to hit the gridiron. I’m not talking about the Super Bowl, but the other game in town. 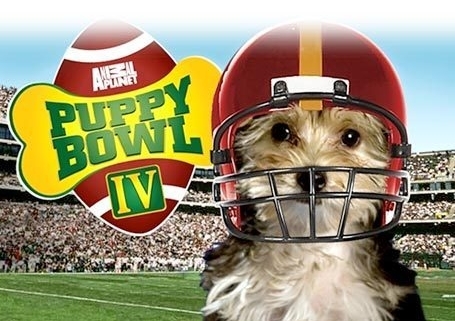 The 6th Annual Puppy Bowl broadcast live on Animal Planet this Sunday from 3-5pm e/p. 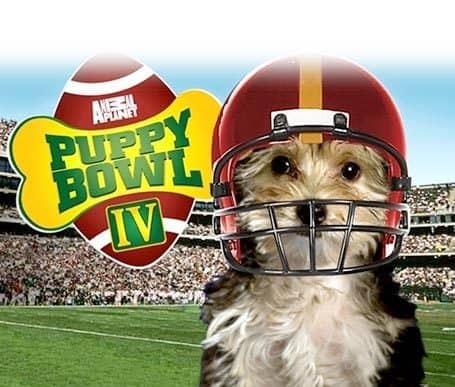 For those who have yet to see a Puppy Bowl take place, it’s an entertaining couple hours of puppies running around and playing together in a room dressed up like a football stadium (or as they call it, Animal Planet Stadium). They crash into each other, chew on toys, and just act like rambunctious pups for a couple hours. They have instant replays and a water bowl camera that gets you right into the action. Apparently we’re going to be seeing the addition of a blimp hovering over the field. Feline lovers will also enjoy the kitty halftime show put on by a bunch of cats that seem to have gotten a nice batch of catnip before the performance. 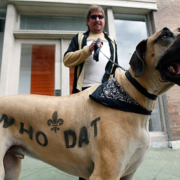 The voice of the Puppy Bowl for the first five years was the legendary sportscaster Harry Kalas. 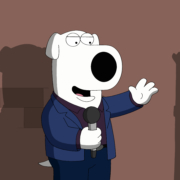 Unfortunately he passed away earlier last year and will be replaced by Emmy-award winner Jeff Bordner. He’ll have some big shoes to fill as Kalas made it a ton of fun. So if you’ve been missing the Puppy Bowl for the last half decade, mark your calendars or set your DVR for Animal Planet this Sunday. It really is a must-see for dog lovers. The starting lineups have been announced and we’ll be seeing Pomeranians, Maltese, Cattle Dogs, Collies, Beagles, Pugs, and a slew of other breeds. 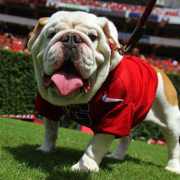 What better way to warm up for the Super Bowl than with puppies in HD.